Little Things Favors welcomes 2013 and all the new wedding favors coming our way! The holiday season may be over, but the most wonderful time of the year is when most wedding proposals happen – and we wanted to hear your stories! We asked our readers and Facebook fans to tell us their proposal story, regardless if it happened during the holidays or not. We had a great time reading all the awesome stories posted to our Facebook page! Check out these marriage proposals if you need some inspiration for proposal ideas! Some stories made us laugh, like the one Meagan M. from FL told: she she she was so excited she never even actually said yes, just squealed with excitement and jumped up and down – almost falling off the edge of her and her fiance’s favorite hiking spot into the lake below! Lindsay K. from NY said her exact words for the rest of the night after being proposed to were “this sh*t cray!” Rezzma N. from AL‘s story made us giggle too: her 5 month old daughter was present when her fiance proposed, and happened to pass gas right as she said yes! Other stories made us want to cry, like Jessica L. from OH‘s. Right before her grandfather passed, he told her now-fiance to “hold onto her tight.” The day before his funeral, she was proposed to under the stars. That wasn’t the only story that hit our soft spot. Diane H. from DC and Kirsten B. from NZ both proved that proposals don’t need to be over the top to be sentimental: each has been with their significant other for more than 10 years and still managed to get emotional even when he didn’t get down on one knee. And we can’t forget about the guy who proposed to Penny W. from OK – out of all the stories we read, he was the only one to show his sensitive side by crying during his proposal! Some guys really went above and beyond when it came time to propose to their girls! Lisa S. from NC had to complete an entire scavenger hunt before finally seeing the ring. Julia C. from NJ‘s man proposed to her right after jumping out of a plane – they even have the skydiving video to prove it! And we absolutely loved Melinda B.‘s story: she was on a tour of pitch-black caves in Bermuda, and her fiance put the ring on her finger in the dark. “It was the perfect public but private proposal,” she says. Many guys kept it simple yet sweet when it came time to pop the question. Stephanie S. from OR, a die hard football fan, was at a game with her beau when he proposed. Melissa W. was touched when her fiance proposed late in the night when they were finally home alone after a dinner date. Brigid M.‘s fiance surprised her after she performed in an off-broadway show, and Candice S. was asked at a secluded waterfall after a long hike. Some guys, like Courtney E. from MA‘s fiance, popped the question in front of the entire family. Hannah S. from MO was playing a game of hangman with her fiance created the phrase “marry me.” How adorable! Thank you everyone who shared their stories! We loved the diversity of each one: it didn’t matter if one proposal was simple or another was over the top – they were all absolutely romantic in their own way! The winner of this contest is Meagan Martin from Alabama! Congratulations, Meagan! 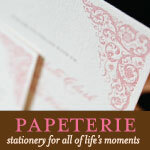 You’ve won a $50 gift certificate to Little Things Favors! Please email us at info@littlethingsfavors.com to claim your prize! Again, thank you all for sharing our stories! 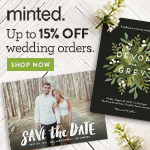 And be sure to keep checking back on our new wedding favors and new wedding accessories – we’ve got tons of hot new products on their way in for the 2013 wedding season! Last week we asked our Facebook fans to answer the question, “How Did You Know He Was ‘The One’?” This question was floating around our office earlier in the week because we are coming close to two office weddings this year (one in January and one in September) and I just made the jump to living with my boyfriend – and I was curious to hear from other real life couples who have also experienced that magical moment when you just knew – he was “The One”! The story of my beau and I date back … 20 or so years ago, I had met him working at my first job – we both worked at a local McDonald’s. It was the summer of 1993 – I was entering my senior year in high school and he was going into college. I thought he was adorable and funny – but I knew that jocks didn’t date artists. Instead, I wound up dating one of his friends, and well, that took him off the list of guys I could date. Over the years, I heard updates about him through mutual friends, but we never re-connected – until February of 2012 when he messaged me on Facebook to catch up and within a few hours of talking we had plans to meet the very next day! We went to a local Cuban restaurant and spent the night talking – not just a few hours, but all night – we even closed down the restaurant! A few days later, I was leaving to go on an vacation with my son and my plane was delayed. It was Valentine’s day. He left work early and drove to the airport to take us to dinner. After dinner, he bought a single red rose and handed it to my son and told him to give it to me for Valentine’s day. I knew at that moment he was the one and I wasn’t going to let him get away from me for a second time … it was probably the sweetest and most romantic thing a guy had done for me my entire life! I’d like to thank all our Facebook fans for sharing such amazing love stories with us! I have known my husband my whole life!! We grew up in the same neighborhood and my brother played little league with him!! He had a brother as well who always said the two of us would end up together. I was very close with his brother who unfortunately is no longer with us today but I know is very happy watching over us and our little one!!! Kevin and I have always been friends but one night he asked me to a wedding and I didn’t think he was serious (we were at a bar) so the next day he called and asked me again and I said yes. We had a great time (he was the best man) I knew alot of the people who were there so it was a lot fun!!! At the end of the night we ended up sharing the most amazing unexpected kiss and from that moment on I knew one of my friends was going to become my husband and my best friend. He was right under my nose my whole life and I never knew it!!!! We were married in two feet of snow (2 days before the wedding it was 70! Gotta love OH) on 4/23/2005 and with every passing year out loves grows stronger and stronger. Would you like to win a $50 gift certificate too? Join us every week on our Facebook page as we ask a question about love, romance and marriage. Just comment on the weekly contest photo to be entered to win! We at Little Things, love surfing the web on our downtime (after all there are 3 of us engaged in the office) browsing bridal blogs for ideas, trends and inspiration for our upcoming nuptials and our clients. While we have our favorite blogs bookmarked and handy – we want to know what your favorite bridal blogs are! We are looking for nominations, suggestions and ideas. From a mix of our readers suggestions and our own we will compile a set of 10, top 10 bridal blogs for specific niche areas. Winners will be featured on our blog, our Facebook, Tumblr and Twitter accounts along with receiving a link from our site to theirs on our website and a cool badge to feature on their blog. Please nominate your favorite blogs by leaving us a comment below, on twitter or on our Facebook page. We close our our nominations on May 7, 2012 and announce the list shortly thereafter! Scavanger Hunt Contest – Win A Wedding Tee! To celebrate our one of our new sections on the site our: Personalized Wedding T-Shirts & Tanks we are going to give away to one lucky reader a wedding tee shirt from that section! The first person to find the item we are in and link the item in a comment on our blog, will win! Please make sure when you leave your comment that you leave your correct email address so we can email you. PS – Contest Expires on May 31, 2008 or if a winner is selected before then. In the spirit of the wedding season which is about to kick off, we’re looking to give away $25 dollars toward the purchase of your wedding favors or accessories. Simply respond to the following question in our comments section and we’ll select one lucky winner from all the comments we receive. What’s your favorite wedding favor (if you know how, please provide a link to it or a picture of it to share with our readers) we offer on our site and why? And is this what you’ll be using for your own wedding favors?